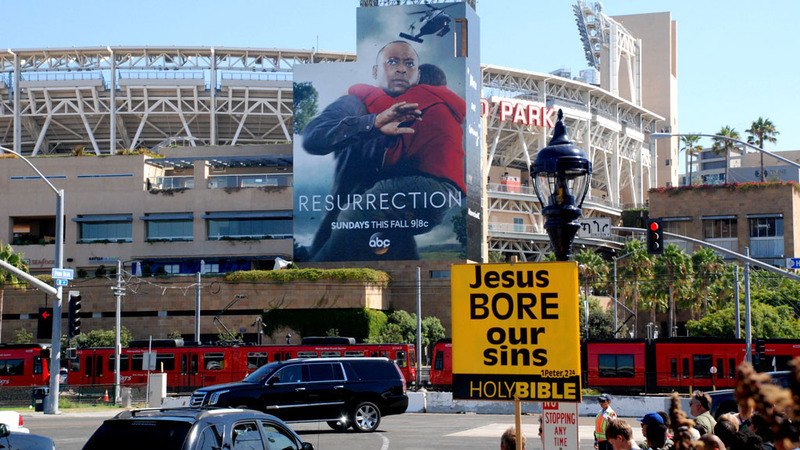 People preaching about the Bible hold up signs beneath posters promoting a new TV series. 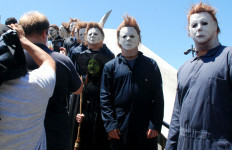 Costumed characters line the stairway for the bridge leading to the convention center. 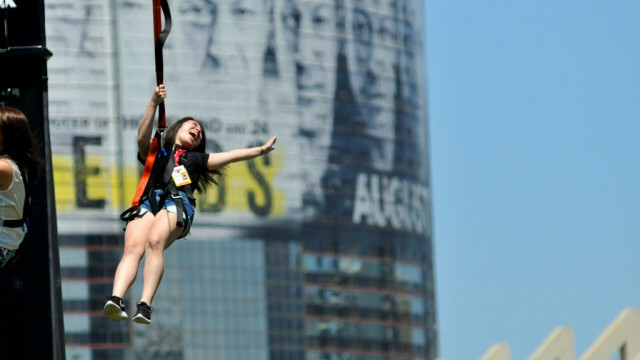 Sami Takahashi of San Mateo gets a thrill out of the zipline ride behind the convention center on Thursday morning. 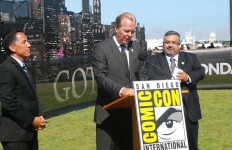 San Diego Major Kevin Faulconer, accompanied by City Council President Todd Gloria, left, and Comic-Con executive David Glanzer, right, talks about the economic boost that the gathering creates for the city. 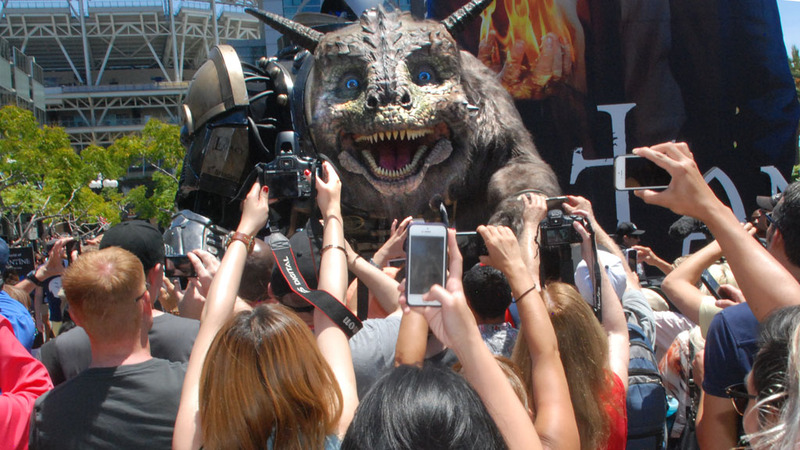 Attendees fanned themselves as they waited in line to attend panels featuring celebrities. 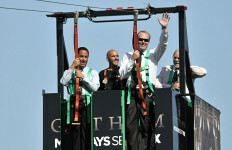 San Diego Mayor Kevin Falconer zips across the cut-out skyline of Gotham City as Comic-Con is officially opened Thursday morning. 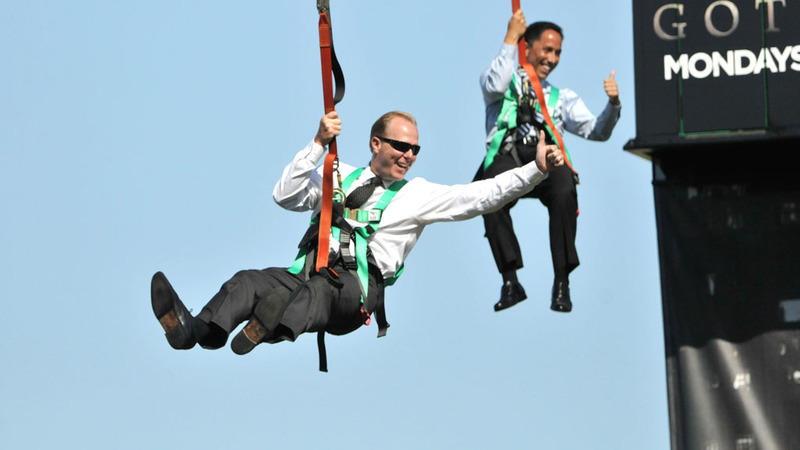 San Diego Mayor Kevin Faulconer and City Council President Todd Gloria soar above the temporary skyline of Gotham City. 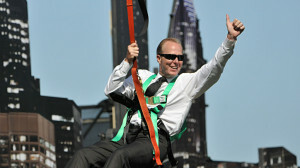 San Diego Mayor Kevin Falconer was the first to ride the Batman zipline ride as Comic-Con opens its doors on Thursday morning. San Diego Mayor Kevin Falconer acknowledges the crowd as he begins a zipline ride which he later called "awesome." 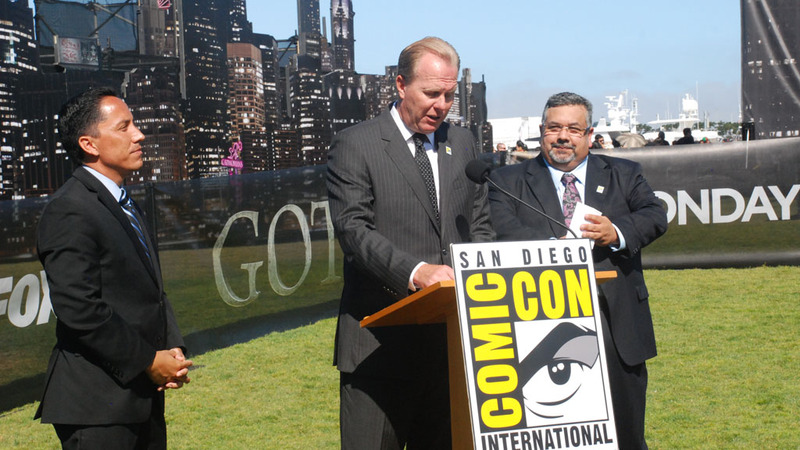 Mayor Kevin Faulconer and his sidekick City Council President Todd Gloria descended Thursday into “Gotham City” (downtown San Diego) to help kick off Comic-Con 2014 at the San Diego Convention Center. 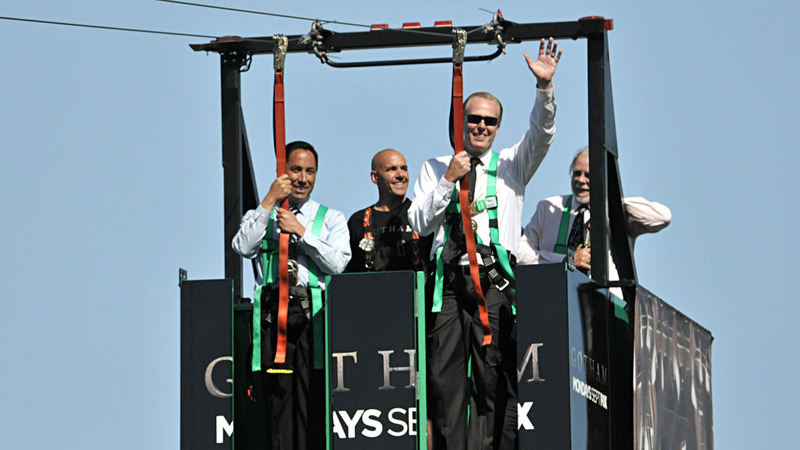 Faulconer said afterward that the ride was “awesome” and that his staff had proposed the Batman-themed entrance a few days ago. 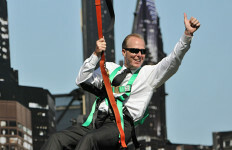 The ride is behind the convention center next to the Hilton Hotel. 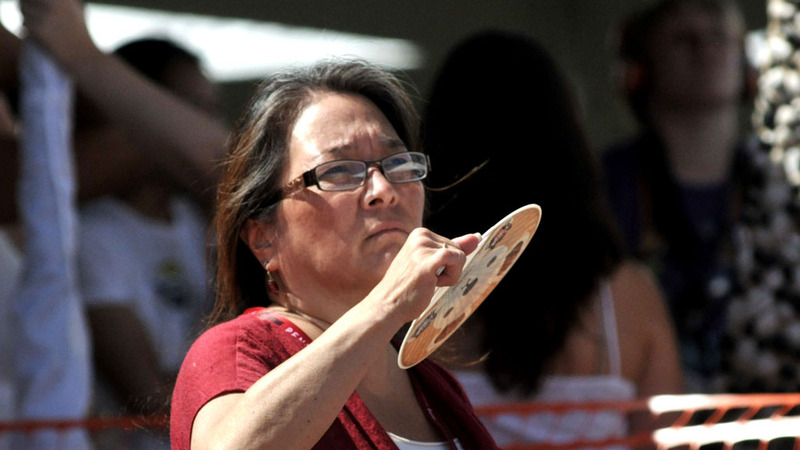 Meanwhile attendees yelled “air conditioning” as they streamed into the cool convention center after enduring hours of daunting heat and humidity. 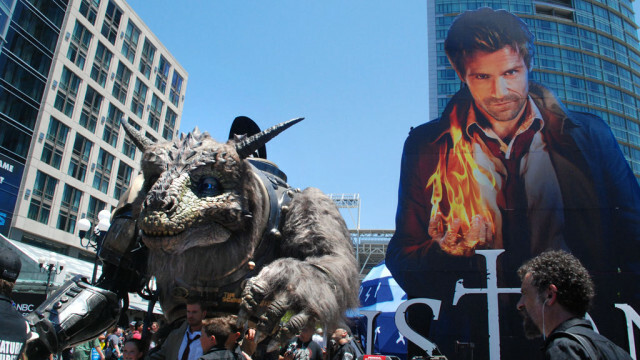 Thousands of people flooded into the Gaslamp Quarter and area adjacent to Petco Park to see promotions of video games, movies and TV shows. 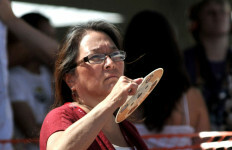 Crowds gathered as freebies of huge bags and slices of pizza were distributed. 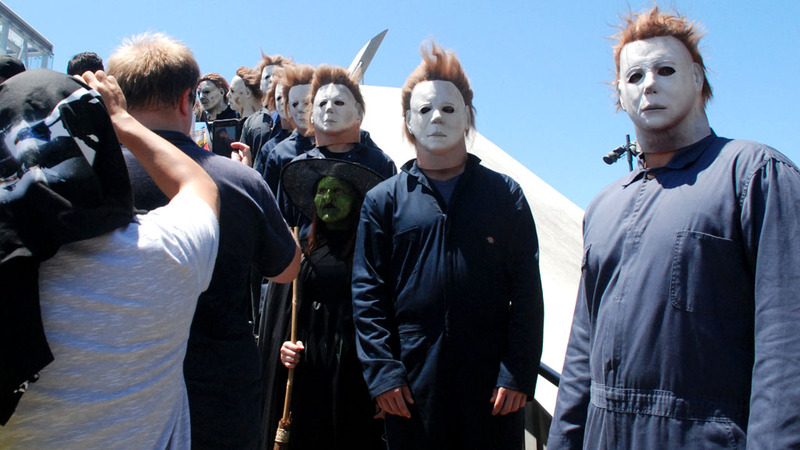 People held fliers to free movie viewings and performances. The zipline wasn’t the only homage to the famous crime fighter, who started out 75 years ago in a dark comic strip, became a children’s television show and later spawned series of movies. 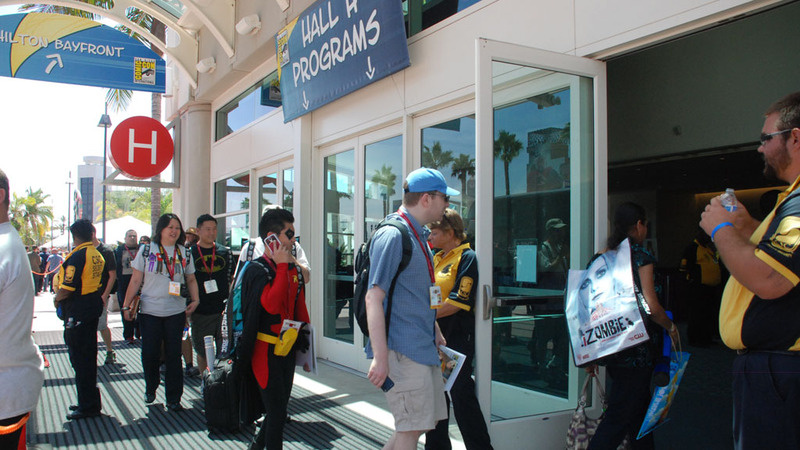 At 3:30 p.m., DC Comics will host a panel called “Batman 75: Legends of the Dark Knight.” Comic creators who helped shape the character are scheduled to participate. At 6 p.m., television series stars Adam West, Burt Ward and Julie Newmar will gather for a panel in Hall H, the San Diego Convention Center’s 6,500- seat arena. The three will promote a boxed set of the series’ episodes that Warner Bros. Home Entertainment is set to release in November. 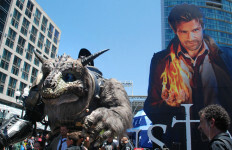 An area near the Hilton San Diego Bayfront Hotel has been transformed into the Gotham Interactive Fan Zone. “Gotham” is a television series that will run on Fox beginning in September that is based on DC Comics’ characters in the Batman universe. 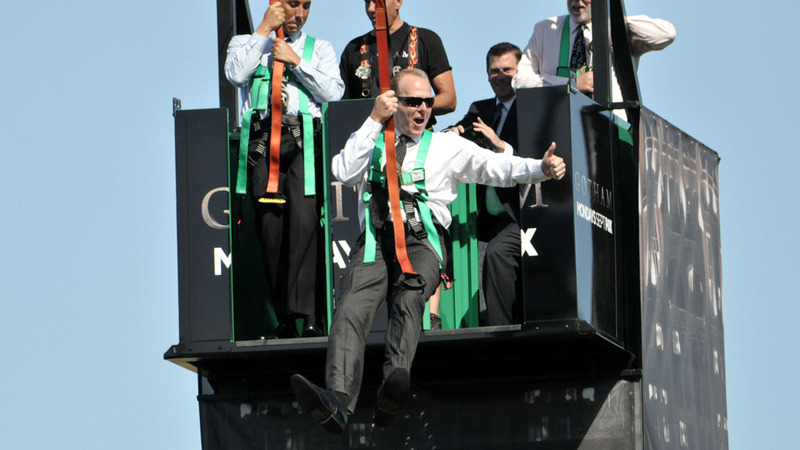 The Fan Zone was the site of a 9:30 a.m. news conference where Faulconer and City Council President Todd Gloria each rode a 200-foot-long zipline to the podium, waving to on-lookers and signaling with their thumbs up. First-day panels were held on the popular television thriller “24,” with actor Kiefer Sutherland, and the legends of TV Land, which featured Betty White, William Shatner and Donald Faison. 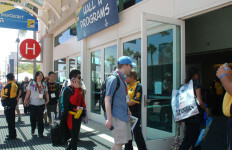 Organizers are also staging events at the Indigo Ballroom at the Hilton San Diego Bayfront Hotel, the Grand Ballroom at the Omni San Diego Hotel and the Horton Grand Theater and multiple events are available for those who couldn’t get a Comic-Con badge. Pre-paid parking at the convention center and Hilton Bayfront is sold out. 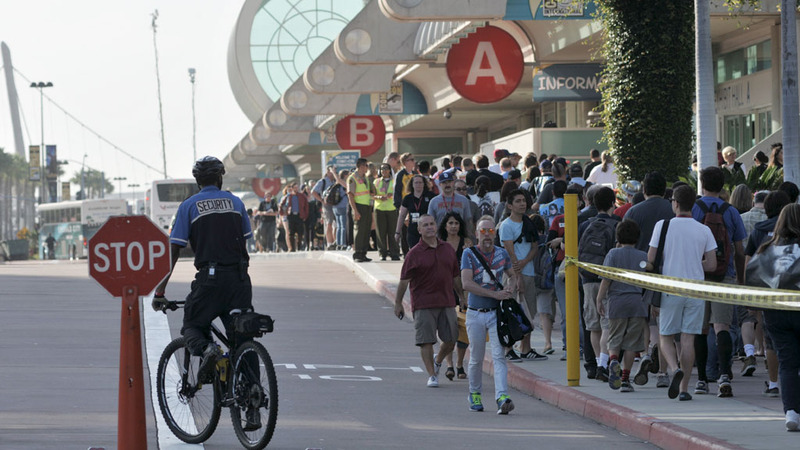 Free shuttles will run between the convention center and hotels in downtown, Mission Valley, Shelter Island and Harbor Island. 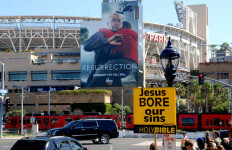 Shuttle service will run 24 hours a day until Sunday at 7 p.m.
Organizers encourage attendees to use the San Diego Trolley and the North County Transit District’s Coaster train. The Metropolitan Transit Systems says the Green Line trolley to the convention center and Gaslamp Quarter will run every seven and a half minutes — twice as often as normal — during Comic- Con. 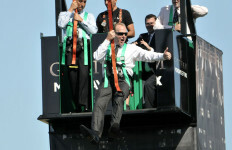 The trolley system will also offer paperless tickets on its new mobile application. 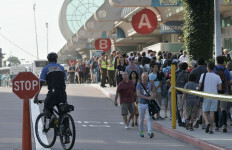 A spokesman for the agency said the trolley carries an additional 215,000 passengers during the convention.